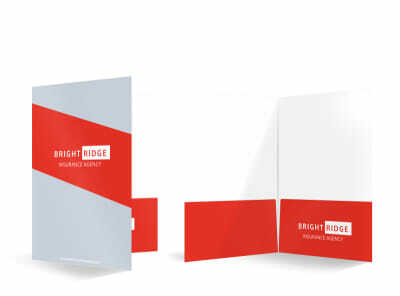 Impress clients by organizing brochures, policy information, and other important documents in folders you customize yourself using our insurance pocket folder templates. Every interaction with existing and potential clients is an opportunity to make a good impression, and custom folders show that you go the extra mile to be efficient. Upload your professional photo or industry-specific images to give your folder a standout look, and then add text, logos, graphics, and more to complete your design. We can handle the printing for you for an upscale presentation, or print your folders yourself to get them in hand quickly.